JUST ADDED on additional Acre. Now included with purchase 2.456. Sellers are ready to Move. 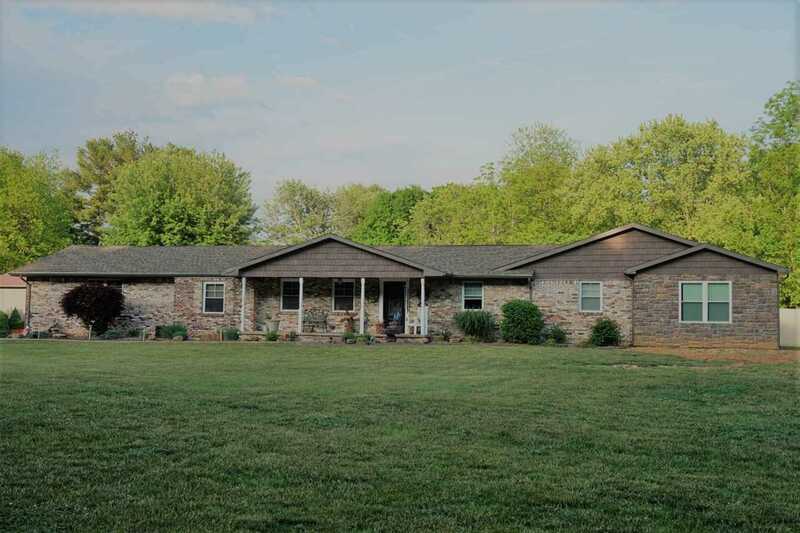 What a great opportunity to acquire this brick and stone fully remodeled home sitting on 2.456 acres. You will love the landscaping with stamped sidewalks, fenced in yard, and a much desired pole barn. Owners have spared no expense when designing this kitchen loaded with custom designed cabinetry, pantry with pull out drawers, all cabinets have soft close drawers as well as doors. All counter tops are granite as well as an eat at counter and more. Home provides 3 over sized bedrooms, 3 full baths, a partially finished basement with a B Dry system for great peace of mind, and upgrades throughout home too numerous to mention. The master bedroom has an adjoining den, TV room or nursery with 3 closets and a beautiful 7 x 7 custom tiled shower with full overhead nozzle. the 2nd bedroom is 22 x 16 bedroom has its own private bath with double vanity and step in shower. This area could accommodate a parents living quarters. Home also comes with a EZ water system. Add'l upgrades per seller: New Septic and field bed installed in 2009, Kitchen appliances 2014, dishwasher 2015-16, furnace 2016-17, room additions 2016-17, and more. Excluded: custom cabinets in garage, 2 statues in landscaping. Ask for details. This home has been built onto therefore property card is incorrect. Average Monthly Utilities: Gas & Electric $200 - 250, Water $20. Directions:From Hwy 41 go West on White Church Rd or CR 50 to stop sign. Turn Left. Home on the left. SchoolsClick map icons below to view information for schools near 2363 W Columbia Estates Princeton, IN 47670.